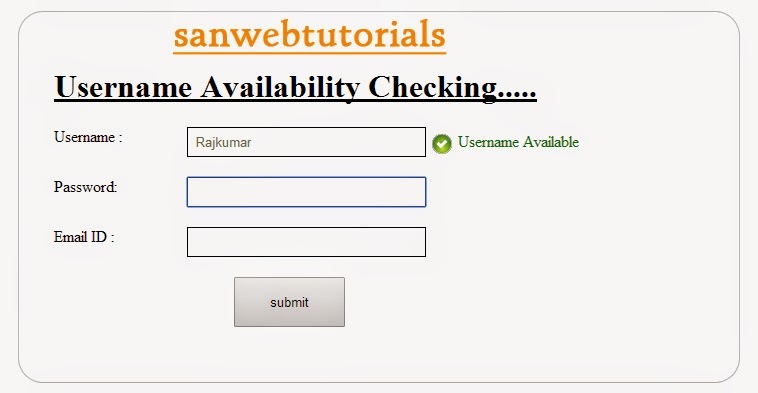 This tutorial i am explain about how to check the username live availability using php and ajax concept, This is a simple concept to check the availability to the username like gmail, yahoomail.This concept also very important and useful because we are going to identify the unique username to identify the perfect person.It will check the database the username already exist or not in the particular database very fast using ajax and php. but you have not given any insert.php codes. Kindly fix this one. Thank you and more power.